The Porsche 911 is the most famous sports car from Porsche and is considered the epitome of this brand. The original 911 was created in 1963 at the IAA in Frankfurt am Main, as successor to the Porsche 356 Porsche 901 with the label. When 911 is a typical 2 + 2-seater sports car. Already legendary is the air-cooled 6-cylinder boxer engine. This is a very rare short wheel base (SWB) Porsche 911T Coupe 2.0 litre engine model. The vehicle is an excellent candidate for restoration however the car starts are drives as it is, the car is fitted with a later 1969 engine. 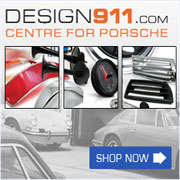 The 911 is sold with its original 1968 engine which was taken out of the car some 10 years ago.